Should a Parent Be Held Liable for Their Child’s Actions? As the legal guardian of your child, you are technically vicariously responsible for anything and everything that your child does, even what that something is illegal. For instance, if your child gets into a car accident late one Saturday night, and it was discovered that he or she had been drinking, you would be held accountable for his or her actions and have to pay for any damages caused to the injured party. This is referred to as transferring—or imputing—acts from the child to the parent. The parents would then have to pay for any injuries or property damage caused by their child. This is also the case in instances of vandalism, when a child—perfectly capable of thinking for him or herself—commits a criminal act intentionally. 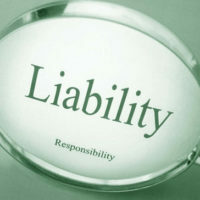 In most states except for two, liability ends when a child reaches the age of majority. This is the age of 18. When a child turns 18, he or she becomes fully responsible for their own actions when it comes to civil matters. However, if the child commits a criminal act, they can be held legally accountable at the age of 17. The lowest age at which the responsibility for a child’s actions can be transferred to her parents is 10 years old. If a child emancipates from her parents, she then becomes legally responsible for herself, despite how old she is. Reasonable: Could have or should have the parents known that their child had the potential to act in such a dangerous manner? Would other parents in a similar situation have recognized such risky behavior? Foreseeable: Could have or should have the parents foreseen that their child was capable of causing harm? Would another parent have recognized the possibility for injury? If you are a parent, you already know how stressful it can be to raise a strong, independent, compassionate child, and to make sure that they grow up to be contributing citizens. However, kids will be kids, and oftentimes, they do things intended to upset their parents despite how great of an upbringing they had. This doesn’t make you a bad parent—it just makes you normal. With that being said, if your child has recently engaged in activity that has landed them in hot water, it may come back to haunt you. For advice on how to proceed to avoid any legal repercussions, turn to the Miami personal injury lawyers at Spencer Morgan Law. Call 305-423-3800 today to schedule a free consultation.